Aurora Teagarden is happily preparing for her wedding to dashing business executive Martin Bartell. As a wedding gift, Martin buys her the house of her dreams: the “Julius house,” infamously named after the family who vanished from the house without a trace six years ago. As Roe sets about renovating and decorating her new home, she’s never felt happier. Then Martin suddenly rents the small apartment on their new property to an old army buddy and his wife, who seem to be more bodyguard than tenant, and Roe is sure her husband-to-be is keeping secrets. To take her mind off her suspicions, she opens her own unofficial investigation into the Julius family cold case. 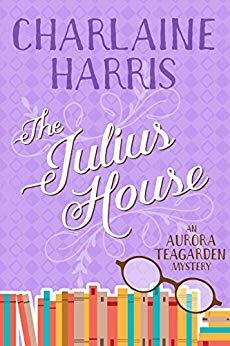 But when an axe-wielding stranger attacks her, Roe must determine whether it’s her husband’s secrets, the mystery of the Julius family’s fates, or both, that have put her own life on the chopping block. ..